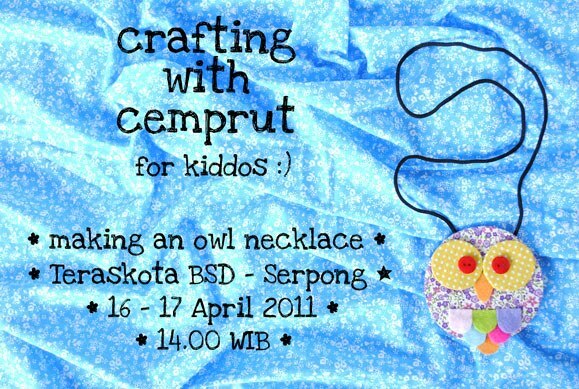 c e m p r u t: crafting with cemprut: making an owl necklace...!!! crafting with cemprut: making an owl necklace...!!! 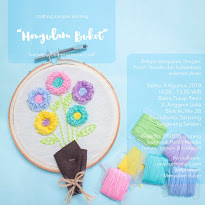 okay guys crafting with cemprut is on again. in Teraskota BSD there's a occasion called "All About Eve". 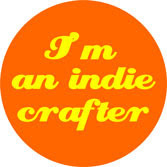 there is a bazaar and some games with "Girl To Be Cool", and i'm gonna be a part of the show. 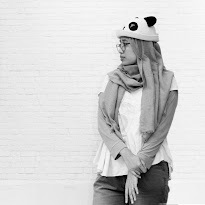 sesi habis kiddos jam brp mbak ? aku kesana minggu depan yg sesi ke2 nya yaaa ..